The Climb For America’s Children promotional team is led by Alaska entrepreneur and founder, George LaMoureaux; Thomas Madden, chairman and CEO of Transmedia Public Relations; Sherry Friedlander, founder of A Child is Missing Inc. and Dr. Ginger Southall, television fitness celebrity and nationally syndicated health and fitness writer. 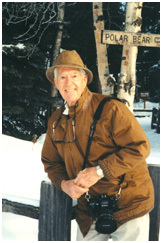 LaMoureaux, longtime Alaska resident, is founder of the Climb for America’s Children and is a member of the national advisory board of A Child Is Missing, founder of the Titanic Memorabilia Co., chairman and founder of the Cartoon Channel and Toon TV, co founder of Capital Bonding, Alaska LLC, president and CEO of Prince William Resort LLC, president/CEO and founder of Alaska Glacier Beverages Inc., founder/managing director of Sales Marketing International/SMI, and serves on the board of Phoenix Worldwide Industries, manufacturer of covert electronic intelligence systems for counter-terrorism and drug interdiction. He is also a former Anchorage cellular communications and multiple national franchise restaurant owner along with other ventures, not listed. Madden is the author of "Spin Man," the topsy-turvy world of public relations, a tell-all tale of the American public relations industry. Before starting TransMedia Public Relations firm, Madden was director of public relations at ABC television and vice president at NBC television. TransMedia’s clients include AT&T, Drexel Burnham Lambert, the City of New York, Mayor Ed Koch and Rexall Sundown. The firm also regularly books corporate spokesmen, authors and medical experts, entrepreneurs and celebrities on nationally syndicated radio and television. 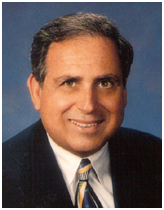 Friedlander has been involved with publishing, public relations and marketing in South Florida since 1964. 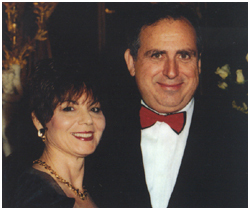 She started her first public relations firm, Friedlander and Associates, in 1969. Under her leadership, the company grew into one of the most prestigious public relations firms in the area. In 1974, the firm merged to become Cameron-Friedlander Public Relations and Advertising. 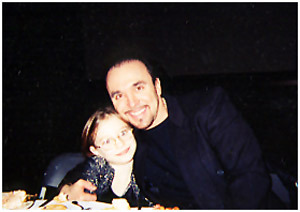 Again, with her direction, the company continued to expand, attracting not only local, but also national clients. In 1976 Ms. Friedlander established Lauderdale Publishing and in 1982 began producing business publications, including Broward Economic Development's Guide Book (now known as Broward Alliance), Business in Broward, Art Spirit! and several other publications. She established A Child Is Missing in January 1997, a nonprofit Florida corporation created to assist law enforcement in the recovery of missing children, the elderly and the disabled. 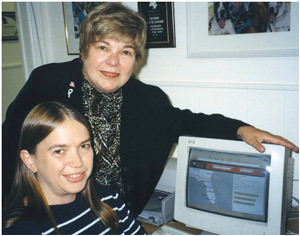 Friedlander is well known for her extensive participation in the community. Her community involvement has included membership in The National Association of Women Business Owners, the Cystic Fibrosis Foundation, Delegate to White House Conference on Small Business, Broward Alliance, and Nova Southeastern University Board of Governors for the School of Business and Entrepreneurship. 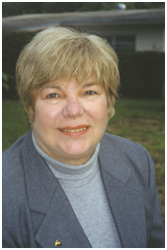 Among many awards Ms. Friedlander has received in recognition of her community service are the Kiwanian of the Year award presented in October 2000 by the Fort Lauderdale Kiwanis Club, an award from Women In Distress for 25 years of Distinguished Service, and the prestigious J. Edgar Hoover Award for Distinguished Public Service, conferred in October 2000 by the National Association of Chiefs of Police (NACP), presented by NACP Executive Director Donna Shepard at the Police Museum and Hall of Fame in Miami, Florida. Dr. Ginger has revealed her health prevention message in many health shows on television, and has appeared in numerous commercials and infomercials for health products. On national fitness programs, Dr. Ginger worked closely with renowned chiropractor, Dr. Jack Barnathan, in helping him to plan and execute the National Symposium on Fitness, working in cooperation with Arnold Schwarzenegger and other celebrities involved in a national fitness movement. 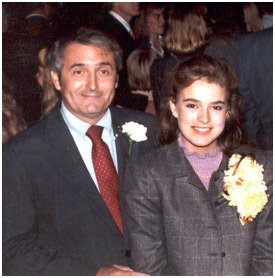 Dr. Southall was just 20 years old when her father died of lung cancer and changed her life forever. He was only 48. From that point on she would devote her life to living healthy and teaching others how to do the same. "What happened to him was totally preventable", she said. "My father had a heart attack at the age of 38. He was a smoker and really didn’t take care of himself properly. He should be alive today, but he is not due to his unhealthy habits." This chiropractor, certified personal trainer, journalist, and TV correspondent, known simply as "Dr. Ginger" has a three-pronged message: Prevention, Nutrition, Exercise. She delivers that message in as many forums as possible, writing for magazines such as Muscle & Fitness Hers, Triathlete Magazine, and Physical (distributed by General Nutrition Centers), and serving as health expert to publications such as Ms. Fitness, Good Housekeeping and European Magazines Fit for Fun and Trendi. She also conveys her message by teaching at risk kids the importance of good health and nutrition, going to Washington D.C. to help develop the Surgeon General’s Report on Physical Activity for Women, as well as by developing a unique niche in alternative health reporting on television. As the former spa director and chiropractic physician for The Trump Spa at Donald Trump’s exclusive club in Palm Beach, Florida, Dr. Ginger came across some of the wealthiest people in the world who did not know how to properly take care of themselves. "I really want to stress the importance of healthy, sound living to prevent many of the diseases that are killing Americans by the millions", Dr. Ginger said. "With proper education, many of the illnesses this country faces are totally preventable. And I really want young people to start living healthy now. Your future health is determined by how you treat your body while you are young." Dr. Ginger practices what she preaches. She is an avid triathlete and marathoner for the Leukemia & Lymphoma Society’s Team in Training and swims with a master’s swim team. She weight trains regularly as well as take pilates and Bikram yoga. In all these capacities, Dr. Ginger is determined to knock down the myths people have concerning their health. She asserts, "By climbing Denali in June for Climb for America’s Children, we can show people both young and old what incredible challenges a healthy body is capable of, as well as what a healthy body can do for a noble cause… finding missing children". 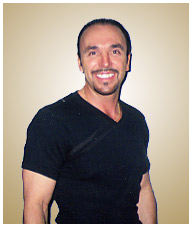 George Olsen (Fort Lauderdale, Florida) is a well known sports and celebrity photographer. 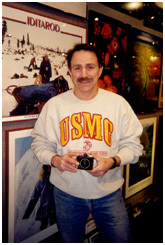 In addition to photographing 9 of the last 10 presidents of the United States and many other famous people, he was an official photographer for the 1996 Olympics in Atlanta, Georgia. 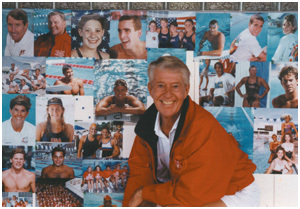 His photographs have appeared in numerous national and international publications such as: Forbes, The World of Swimming, Sports Illustrated, Swimming World, Olympic World, The London Times, The Miami Herald, Art Spirit, Business in Broward, El Heraldo, and many others. Upon graduating from The University of Michigan in 1950, he came to Alaska to work as a "gandy dancer" on the Alaskan Railroad, putting in a new, heavier railroad track from Anchorage to Fairbanks for the construction company, Brown & Root. His interest in sports dates back to his days at Michigan when he was the scout quarterback on the University’s 1947-48 national championship football teams .He also was a member of Michigan’s national championship swimming team of 1948, and that year shot his first sports photograph of Dr, Sammy Lee, who later won gold medals in the 1948 and 1952 Olympics as the number one 10- meter diver in the world. Dr. Lee later discovered and coached another world famous diver, Greg Louganis. George Olsen has also had photographs published from travel assignments in Italy, Spain, Iceland, Norway, Costa Rica, Belgium, England and other countries. Prior to devoting his career to photography, he was Manager of Public Relations for the Colgate-Palmolive Company and later served as Director of Public Affairs for Bristol-Myers-Squibb Corporation in New York City. In addition to his professional photography, he volunteers his services as the official photographer for: A Child Is Missing, The Red Cross, The International Swimming Hall of Fame, and Juvenile Diabetes in Fort Lauderdale, Florida.